I'm Declan McEvoy from Quin, County Clare in Ireland. 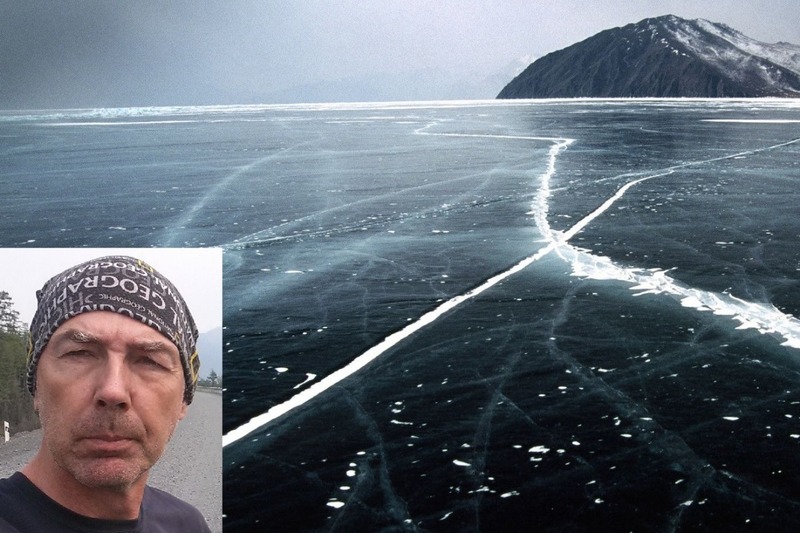 I'm planning to ride a motorbike for over 700 kilometers in -20 Centigrade across a frozen lake in Siberia that's more than a mile deep - as one would! Possibly it will be a world record. The costs of getting a suitable motorbike, preparing it properly and getting it to Siberia scares me more than the ice ride itself. I have taken a significant bank loan (significant to me anyway) and added that to my own personal savings, but I'm still short to adequately prepare for this venture. To repay society for any money donated as well as to show my genuine gratitude, I pledge to make myself available, at no cost, for a full year after the event to any worthy benevolent fundraising event within 150 kilometers round trip of my home to share my story in an exciting and articulate manner by way of a one hour captivating and thrilling presentation using pictures, video and lots of laughter if an audience of 50 or more is assembled at a suitable venue. The last two months have consumed considerable time, energy and most of all huge personal expense. Having taken a significant bank loan (Thanks KBC) I bought a Honda CRF 250 Rally for the job in the UK. Many importation problems as a result of the registration book being sent to the DVLA rather than been taken to Ireland. That resolved and my importation duty paid and the bike taxed in order to receive the Irish registration book I duly set out to make many modifications to the bike to take on this ice ride. This necessitated lower weight engine oil and fork oil and stronger concentrations of coolant. Many electrical modifications including heated grips, heated jacket, GPS mount and telephone connection. Studded tyres were fitted. The engine enclosure was insulated to protect from -50 centigrade windchill. Temperature gauges were installed to read both outside and engine temperatures. A taller modified windshield was installed. A luggage rack was fabricated and powder coated and soft luggage was procured as well as additional fuel capacity. Next, the bike was shipped to Lithuania - not too far from the Russian border. Having submitted all my own information and the information of the bike to the Russian Embassy here in Dublin I obtained a Russian "Auto Tourism" Visa and flew to Vilnius to meet the bike. From Vilnius I used a moto-taxi 550km north through Latvia and Estonia to the Russian border where I had another Russian moto-taxi waiting on the Russian side of the border to take me and the bike 850km to Moscow. I then wheeled the bike off the moto-taxi just one kilometer from the border and rode through on the studded tryes. No problem at immigration and at customs the official was very friendly and helped me to fill in all documents. He then went to the computer to enter all the details but lo and behold the computer says the motorcycle cannot enter due to secret "Internal Protocol" and in the heel of the hunt I was left with no choice but to return to Europe. What to do next? Now I am in discussions with the Russian Embassy in Dublin. They were privy to the very same documents as were produced at the border. Also I am checking the Interpol database to see is the bike listed - can't think for one moment why it would be? Also I am dealing direct with Russian Customs in order to clear the way. But the window is closing rapidly on Baikal for 2019 and likely I will have to postpone until 2020. Why was it a problem I simply don't know - I had crossed many times before into Russia with a motorcycle and no issues. Right now the bike lies in Lithuania, studded tyres and all and what's to happen next I have no idea other than I'm determined to resurrect this project if not in 2019 then in 2020 it will be. Watch this space!